InsureStays Agency is a licensed producer and administrator of this plan. Most US States have adopted updated insurance rules which revise regulation for the activities of retailers offering travel insurance programs. A registered Travel Retailer is authorized to operate under and on behalf of another entity with a Limited Lines Travel Insurance Authority (LLTIA) license such as InsureStays and agrees to adhere to basic guidelines and consumer protections. In states that have not adopted an authorization process which permits travel retailers to operate under an LLTIA entity, travel retailers must possess the appropriate travel insurance license(s) in order to transact travel insurance business; if they do not, they may only refer interested parties to appropriately licensed agents. (i) Purchasing travel insurance is not required in order to purchase any other product or service offered by the travel retailer. (ii) As an authorized travel retailer of InsureStays, no employee of the travel retailer is qualified or authorized to: (a) provide technical explanations, representations or interpretations, or answer technical questions about, coverage provisions, benefits, exclusions, terminology and conditions of any of the insurance offered by travel retailer; (b) evaluate the adequacy of the prospective insured’s or travel/rental guest’s current existing insurance coverage; (c) otherwise advertise, hold out or present themselves in such a way as to be perceived as a fully licensed agent. InsureStays expects that you learn, understand and comply with your national, state and local licensing, tax and premium trust account laws and regulations. Neither InsureStays, RentalGuardian.com, nor their platform affiliates provide legal, tax or accounting advice; InsureStays retailers and RentalGuardian.com platform account holders assume full responsibility and liability for compliance or non-compliance with laws and regulations. Property managers, property owners, licensees, and related vendors with specific questions regarding taxation, premium-trust, accounting, or legal advice should consult qualified, specialized counsel for specific guidance. Both InsureStays and RentalGuardian.com reserve the right to suspend or de-activate any previously-activated Retailing Account in the event (1) that the underwriter or carrier determines that the Account is ineligible for coverage and/or participation in the program, or (2) that evidence of appropriate licensing and authorization is not provided to InsureStays in a timely manner; (3) that any retailing Account-holder is found to be in violation of known insurance regulations; (4) that anyone employed by and/or managed by the retailing account holder are in violation of Section 1033 of Title 18 of the United States Code* which prohibits ineligible persons from participating in the business of insurance. 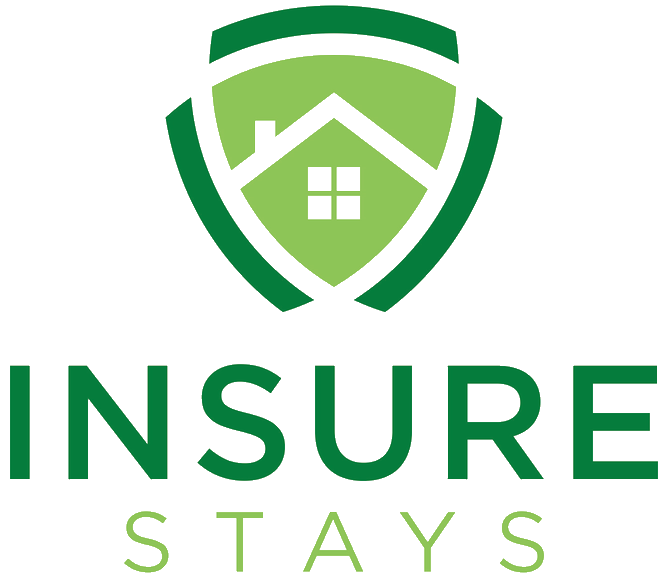 UPDATE OF: May 17, 2018 InsureStays Agency is a licensed insurance agency. If you have any questions, please don't hesitate to contact us.